Let yourself be inspired by these glamorous and sophisticated dining room ideas from wonderful apartments in Paris, a city that never goes out of style! 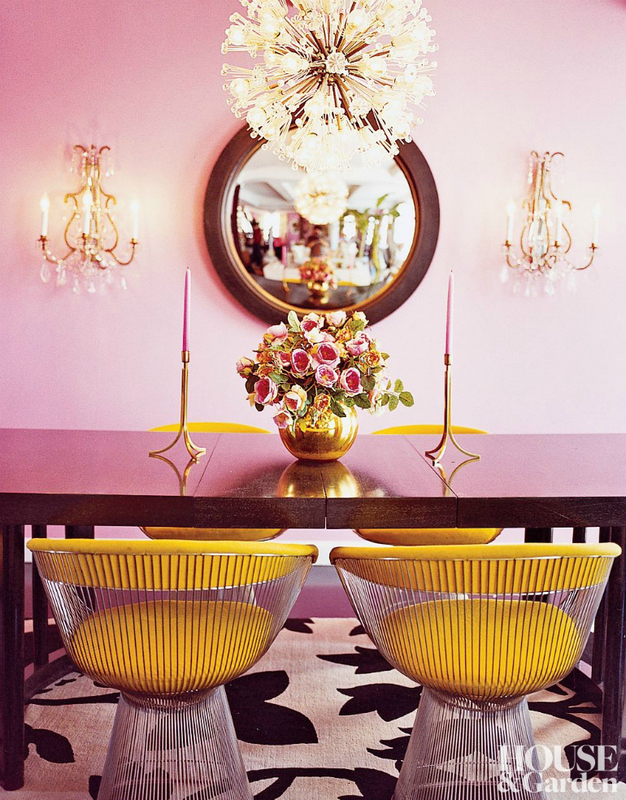 Smashing dining room decor by Jean Louis Deniot. 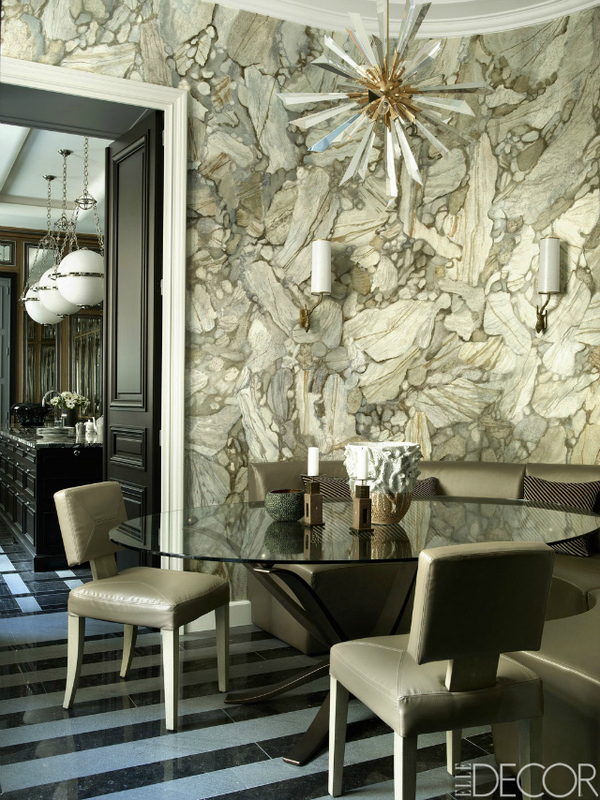 The designer used different patterns and materials to create an interesting and sophisticated neutral space. Eclectic space with contemporary dining room chairs that make a statement. Interior design by Betsey Johnson. 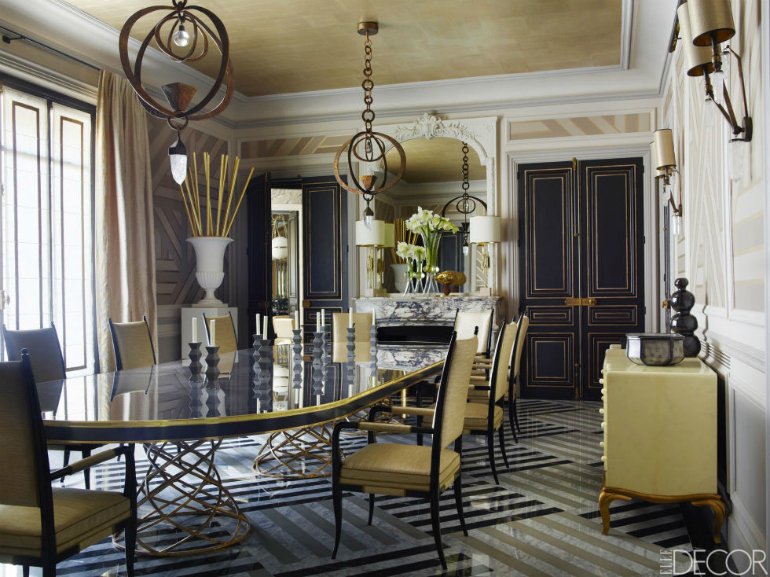 Elegant dining room designed by Kelli Wilde and Laurent Champeau with a sleek white table. Modern dining room by Patrick and Laurence Seguin with a rustic minimalism decor. Contemporary dining room with vintage chairs and a statement wall art. Luxurious dining room with a unique dining room table that will amaze your guests! Interior design by Jean Louis Deniot. Sophisticated dining room designed by Jean Louis Deniot where the wallpaper steals all the attention, creating a bold and daring space. 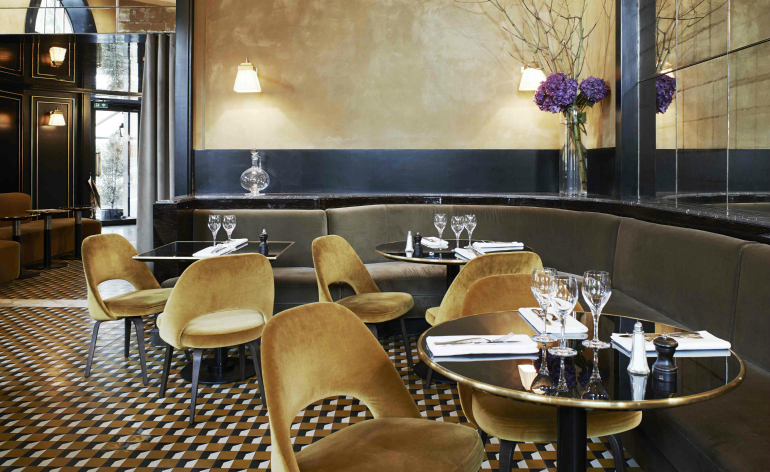 Le Flandrin restaurant interior in Paris with amazing dining room chairs that add personality to the space. What is your favorite dining room decoration project? We want to know! 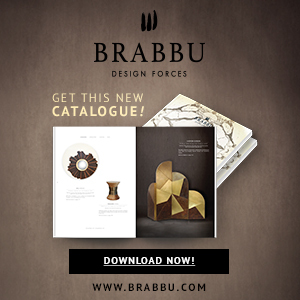 For even more dining room decor ideas, don’t forget to visit our Pinterest or download our FREE eBook here!